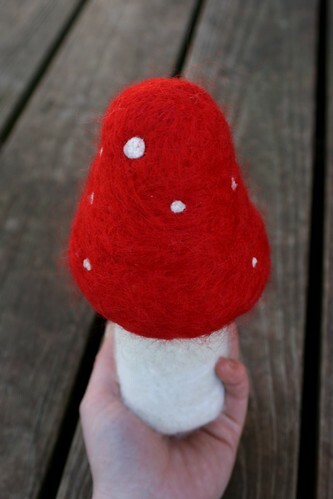 Needle Felting Needle Cushion :: Huge Red Mushroom! Every once and awhile I decide that it’s a good idea to make something for myself and recently I was thinking of a cool way to store my needles for needle felting so I put the two together! 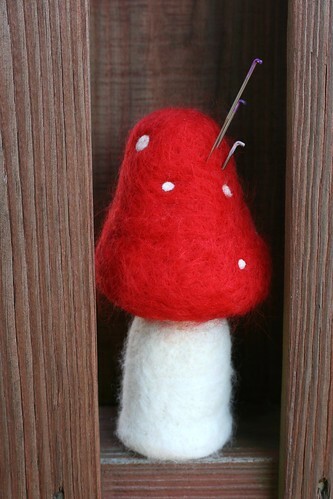 Check out the huge red amanita mushroom I created for ME. 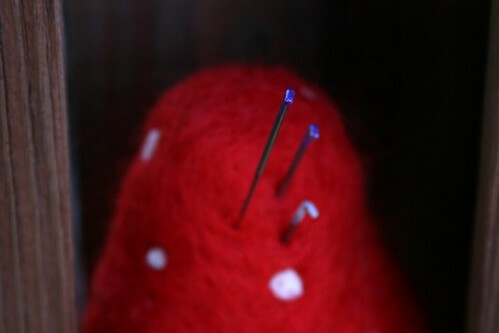 It stands on its own, it’s bright red so it’s hard to misplace, my needles fit securely deep down inside of it and it’s just cool lookin’.